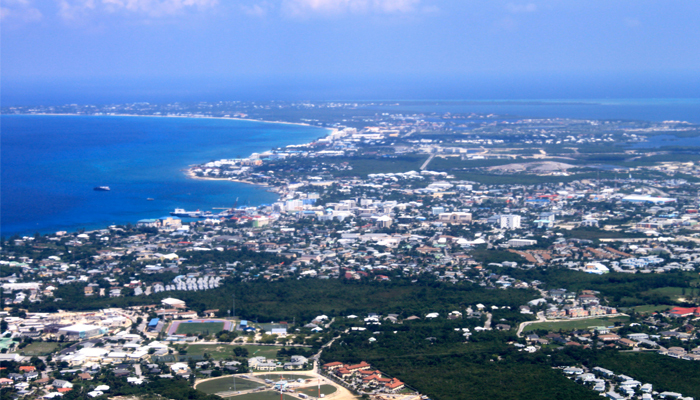 The Cayman Islands have experienced five consecutive years of economic growth. Cayman’s gross domestic product reached $2.8 billion at the end of 2015 and grew a further 3 percent in the first half of 2016. “It exceeds the initial GDP forecast for the year of 2.1 percent and is the highest growth rate since 2007,” Said Finance Minister Marco Archer in a statement accompanying the new numbers. The economy outpaced government’s forecasts in 2016 and grew faster than it did in the first half of 2015. As of Spring 2016, Cayman’s population increased 2.7 percent from the previous year, standing at 61,259. The number of work permits continued to grow, increasing to 23,411 as of mid-2016. The total unemployment rate fell to 3.9 percent, and the unemployment rate of Caymanians dropped to 5.6 percent. Cruise arrivals continued to grow, up 7.1 percent from last year. However, there was a dip in air arrivals, down 1.4 percent. The George Town harbor has been nominated and listed as a world Hope Spot by Mission Blue after being vetted by the International Union for Conservation of Nature. 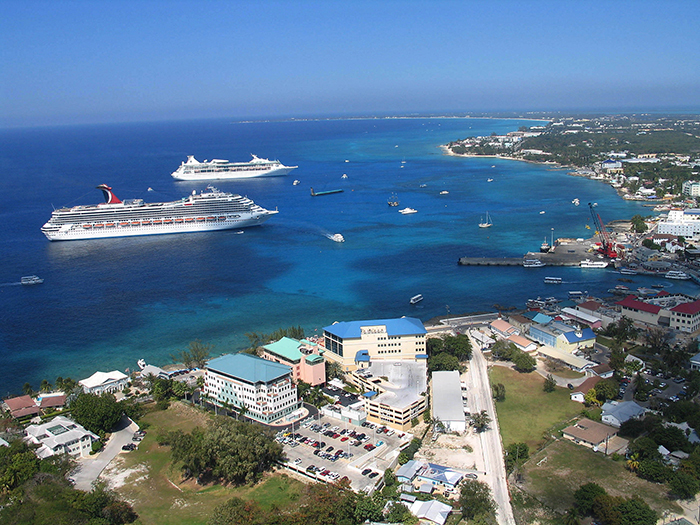 The Harbor is currently at risk of being destroyed by the development of cruise berthing facilities in the Cayman capital. The Hope Spots are places deemed critical to the health of the ocean. Scientists explained that while around 12% of the earth’s terrestrial regions are currently under some form of protection, less than 4% of the ocean is protected in any way. Leaving it vulnerable to overfishing, pollution, and over-exploitation. A limited liability company arrangement has been approved by lawmakers as a new type of business vehicle for the local financial services industry in the Cayman Islands. The bill will make Cayman the first Caribbean overseas territory to implement a limited liability company, or LLC, arrangement. The ultra-luxury sector of the residential market is really starting to establish itself and confirms that international investors are seeing real value in Cayman real estate product. There has been remarkable recent activity in the $3 million and higher market in high-end residential homes. The market in this case appears to be made up of both local buyers and those from overseas looking to have their own space while they live here, either temporarily for a few months of the year, or permanently. During the last nine months, the market has been extremely buoyant. The buyer’s market of the last few years is giving way to a seller’s. 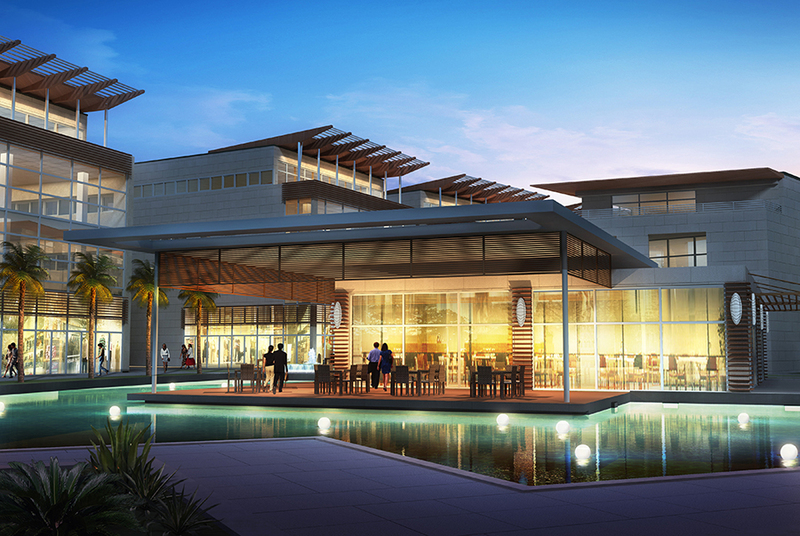 Cayman Enterprise City Campus Gets Zoning Approval. A 70-acre site in South Sound has received approved zoning for Cayman Enterprise City proposed campus. The Planned Area Development approval provides general permission for Enterprise City’s envisaged overall master plan that was supplied during a meeting of the Central Planning Authority on Thursday 10th December. Enterprise City will still need to apply for separate planning approval for each phase of the project, which when completed will see a cluster of office buildings, homes, restaurants and a hotel surrounding a man-made lake. The first phase of the project will see an application for two five-story “gateway” office buildings early next year. 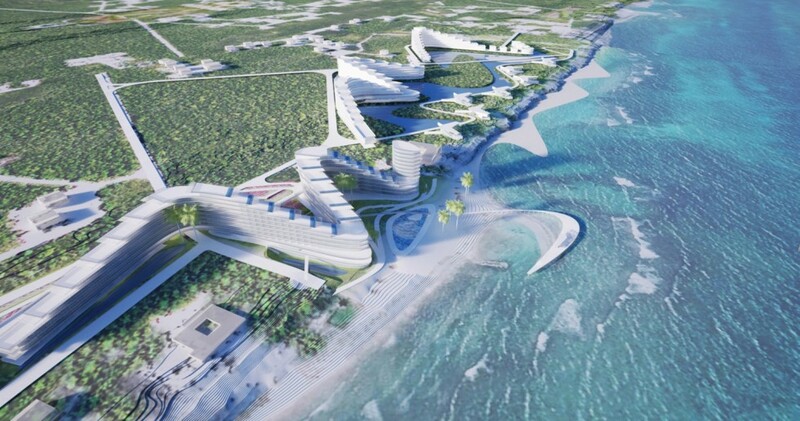 TEN Arquitectos of Mexico City and New York have been announced winners of Beach Bay Land Ltd’s design competition for the St. James Point, Beach Bay Resort. The US$250 million luxury resort in Bodden Town was unveiled Saturday 5th December at an event in at the Art Basel Gallery in Miami Beach. 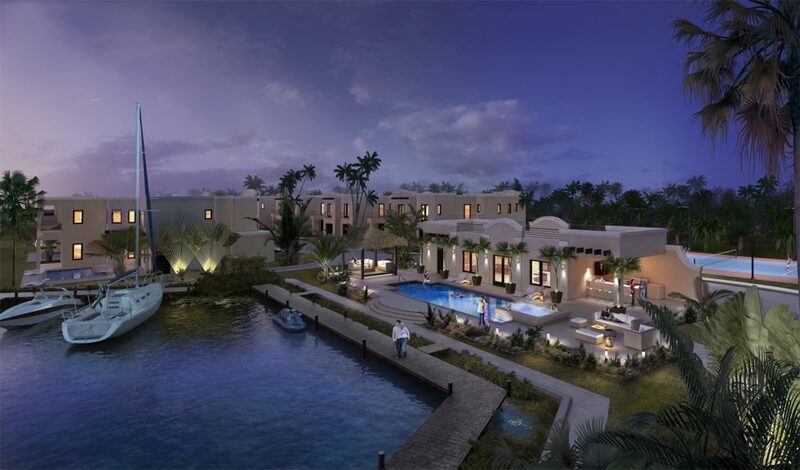 The project is set on a lush 16-acre property fronted by a 1,000 foot secluded and private natural beach, and features a 200-room hotel and 90 residential units, spa, shops, restaurants and water sports. John Layton, managing director of the development company, said he was impressed with the firms “bold ideas” as well as being impressed with their past projects. The lead architect for TEN Arquitectos, Enrique Norten, said “We have a unique concept here that will fit harmoniously within the landscape” and creating buildings that sync with the natural environment was key to the project. Unlike other Caribbean islands, buying in Cayman has no restrictions on foreign ownership. Every property in Cayman is registered under a unique block and parcel number, which means every owner is registered with the Government guaranteeing the right of ownership. A potential purchaser may examine the public records regarding any property to check whether there are any liens, charges or restrictions on it. When buying in Cayman the purchasing process is relatively easy. The prospective buyers presents personal documents, including certificates of identification and confirmation of the source of funds. Buyers then file a “Search and Stay” status on the land with the Department of Lands and Surveys upon entering into a contract. This essentially grants the purchaser a priority period during which the property is put on “freeze”, preventing any other interest from being registered against the land until the property has been officially transferred. On Wednesday 28th October the Cayman Cabinet officially approved the cruise berthing facility recommendations. 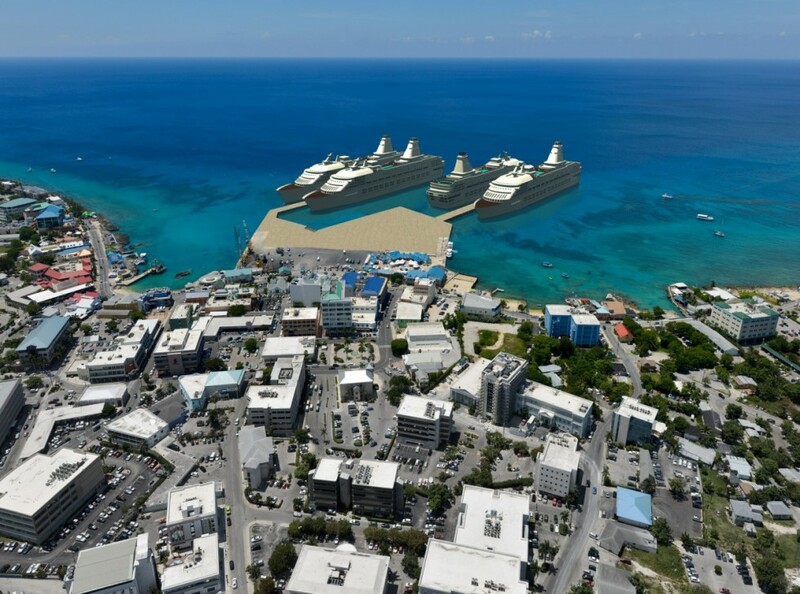 The Cayman Government announced in September that they were pushing ahead with the plans to build a cruise berthing facility in George Town, however a design has not been finalized. The cruise pier project estimates a potential economic upside of US$439 million over 20 years for the Cayman Islands. The estimate factors in anticipated increase in passenger spending based on the assumption that the piers would allow passengers to spend more time on shore. Cayman Airways has announced a new service from the Charles Kirkconnell International Airport to the eastern city of Holguin in Cuba. 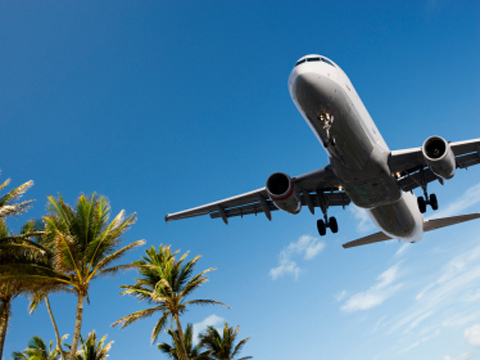 The Cayman Brac airport has undergone an extension over the past couple years. The first stage of the project included a 6,816 square foot addition to the east end of the existing building, with a check-in area, restrooms, security room, baggage screening, enlarged departure lounge and relocated café/bar. The second stage included a 4,670 square foot addition to the west end of the existing building and a new baggage claim area. Plans for a new cruise port in George Town are going ‘full steam ahead’, according to the Cayman Island Government. Premier Hon. Alden McLaughlin made the announcement at the Chamber of Commerce Legislative Luncheon on Wednesday (30th of September). 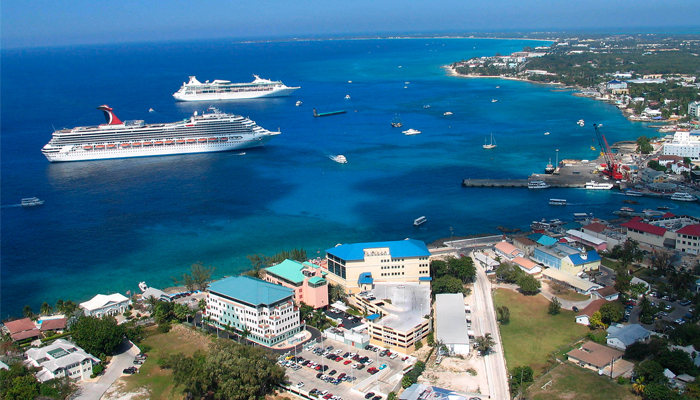 The Cruise berthing has been the most controversial and divisive issue to face Cayman in recent years. Do the concerns over the damage to the coral reefs outweigh the many hundreds of people and families who rely on jobs created as a result of cruise tourism, and continue to rely on them for years to come ? Eighty-five percent of tourists arrive to the islands by sea. At the moment the cruise ships must anchor offshore and taxi passengers to the shore. The new port includes docking and direct access to the shore.